Thank you for your interesting in Clare Long Photography! I offer sessions from pregnancy onwards, capturing important and fleeting times in your life. Because the bump will soon become the cutest little bundle in your arms, and those first few years will fly by, and stunning images on your wall will remind you off all those firsts, all those smiles and fill you with love. 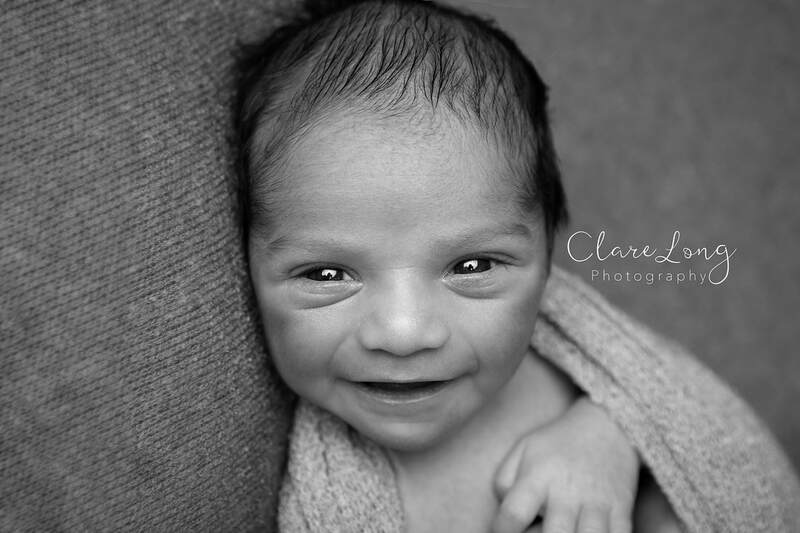 Newborn sessions take place between 7 days and 3 weeks old, this helps to get the curled up, sleepy shots captured. Newborn sessions are very much baby led, so if they need a cuddle or some milk, we break for their needs - because of this newborn sessions can take up to 4 hours. 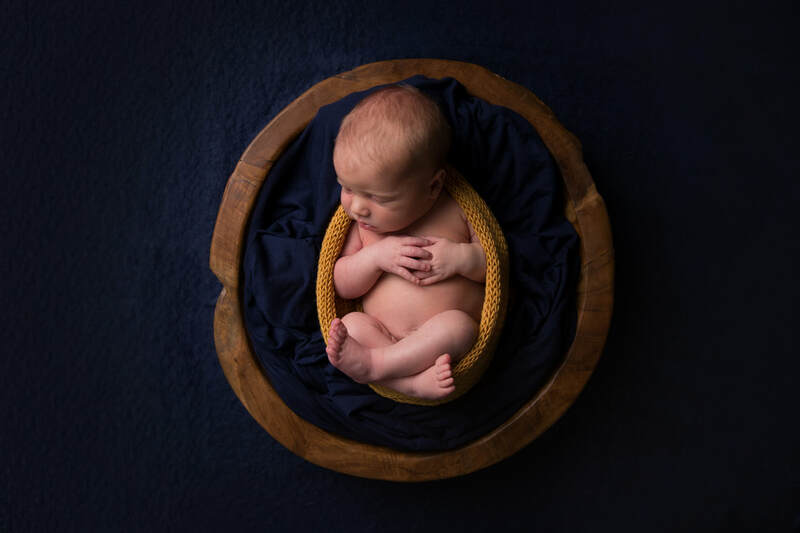 The session will incorporate images of baby, in bespoke prop set ups and posed on my beanbag, recording their tiny details. These sessions are tailored to your colour taste and props are planned to your ideas. 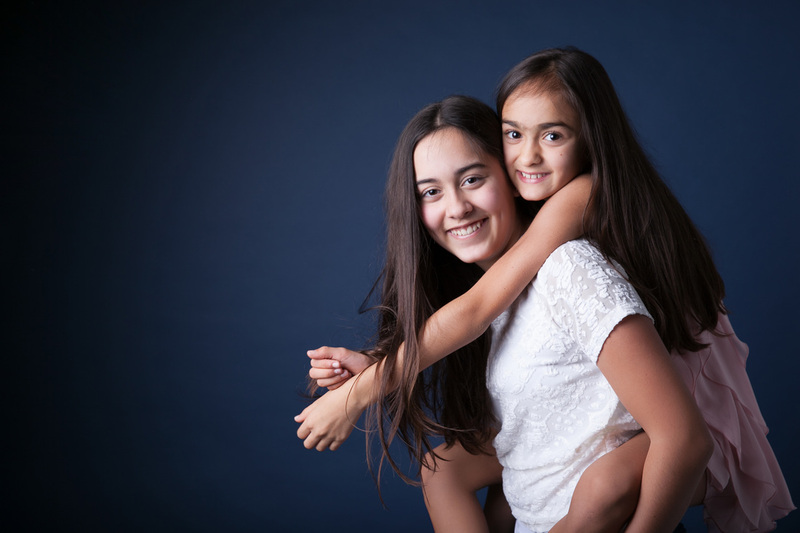 sibling shots (where applicable) and family photographs to make sure you have your beautiful new addition captured forever. These bespoke sessions are £99. Family sessions are always a joy, to see that connection as a team, capture the laugher as Daddy tickles the best spot, the love in a child's eyes as Mummy wraps her arms around them - these sessions are full of love, laughter and pride. 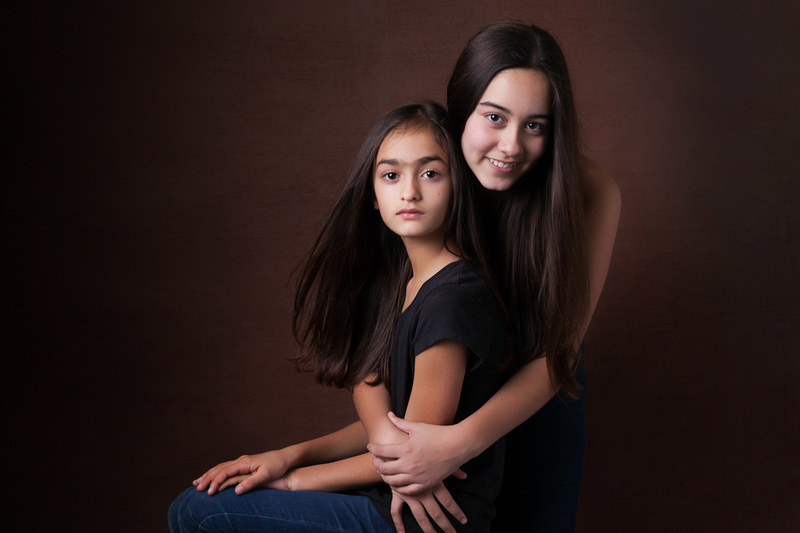 Photoshoots can be held in my home studio or on location, a mixture of posed group shots and natural photographs can be captured during my time with you, giving you the best mix of timeless images for you to display in your home. 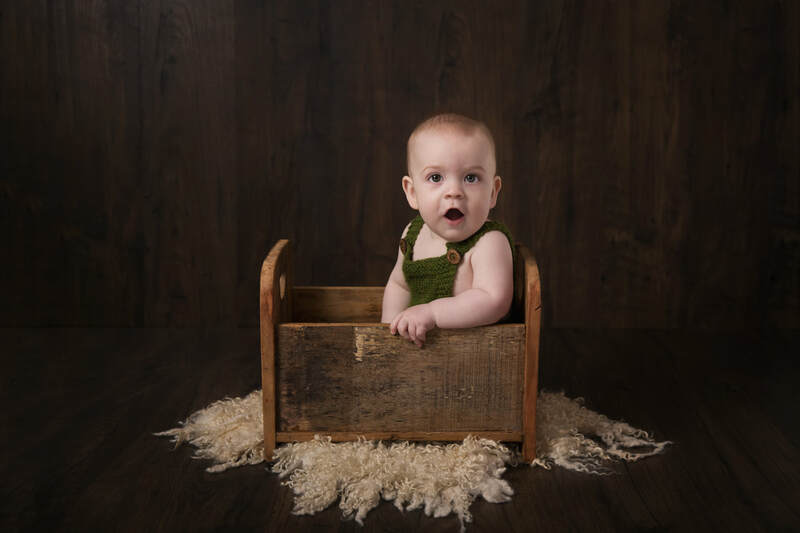 Between newborn and sitting is a beautiful age to capture, whether you feel you missed the newborn stage or you want to update your photos, a session for the between can be so very cute, smiles, eye contact - what is not to love? Theses sessions are so much fun, and produce such heart warming memories. Session times are flexible as, again, they are dictated by baby but expect to be with me for around 1 hour. Cake smashes are a wonderful way to mark a birthday - typically 1st or 2nd birthdays. 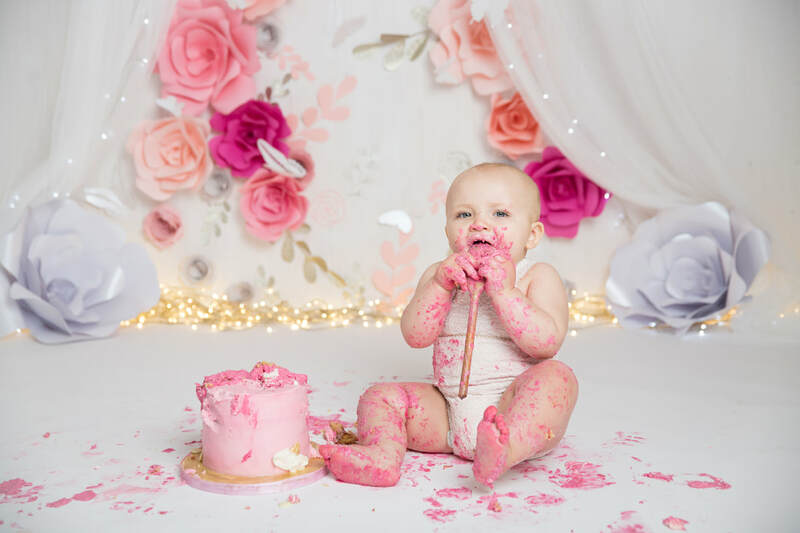 All my cake smashes are unique to your ideas and wants for the shoot - colours, themes and outfits are discussed when booking so I can hand build your personalised set and make sure your child's smash is perfect for them and a wonderful memory for you. 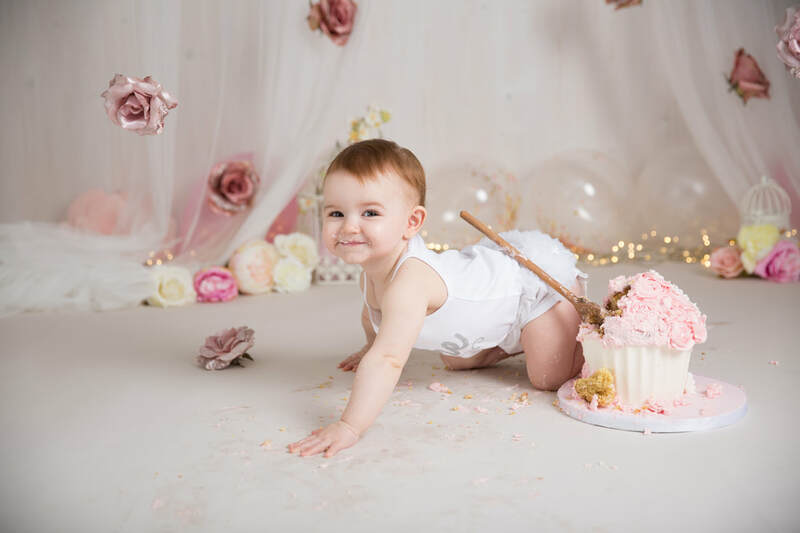 All smashes include a mini portrait session, a cake for your little one to have fun with and a bath to clean up. Prices are £99. This includes all custom set design, decorations and cake. Digital packages start at £200 and I have a range of beautiful wall art available as well as digital images.